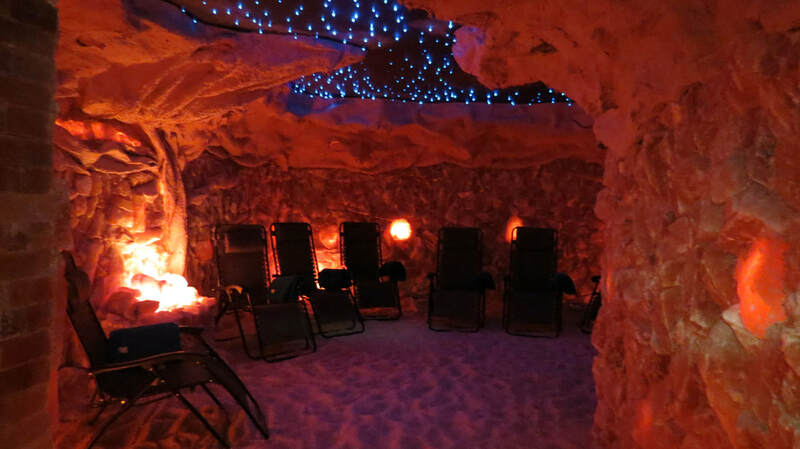 ​Relax in the Salt Cave and experience the healing vibes. We offer Halotherapy sessions at the top of every hour! 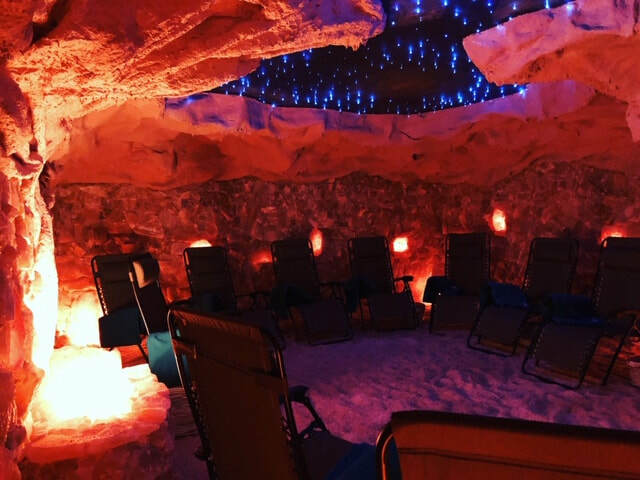 ​Time spent in the exquisite Santa Fe salt cave is an unforgettable experience, promoting both deep relaxation and natural healing. Lie back in a zero-gravity chair, in a room lined with Himalayan pink salt crystals, surrounded by gentle soothing music, and leave the cares of the world behind. The idea was inspired by the discovery that salt miners rarely suffered from colds, respiratory ailments, or lung diseases, because of the fine salt particles they inevitably inhaled. As a result of the research subsequently carried out into this phenomenon, 'halotherapy,' or salt therapy, was born. Salt is naturally anti-bacterial, anti-microbial and anti-inflammatory and studies show that salt therapy can bring about significant improvement in conditions such as chronic bronchitis, asthma, sinus congestion, COPD, allergies, lung diseases and skin ailments. There can also be an uplift in mood, since the cave is saturated with minute salt particles, which give out negative ions, known to help with depression. So a visit to the salt cave can have positive benefits from the inside out, body, mind and spirit. Join for the salty news!